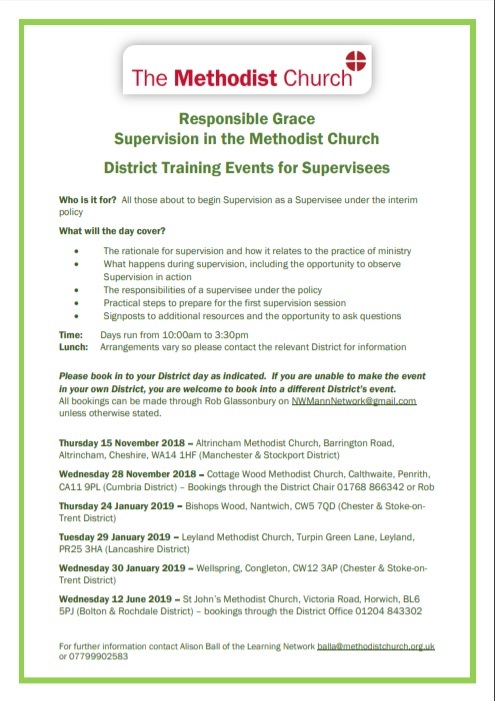 District Training Event for All those about to begin Supervision as a Supervisee under the interim policy. Lunch for this day will be provided, please indiacte any dietary requirements when you book. If you are unable to make the event in your own District, you are welcome to book into a different District’s event and bookings for all other days can be made through Rob Glassonbury on NWMannNetwork@gmail.com unless otherwise stated.